The Stage - 30 November, 1950. "By good acting on the part of Evelyn Roberts and Greta Wood as Mr and Mrs Digby, it is possible to believe that they are really devoted to the farm....."
From The Stage - Thursday 30 November 1950. 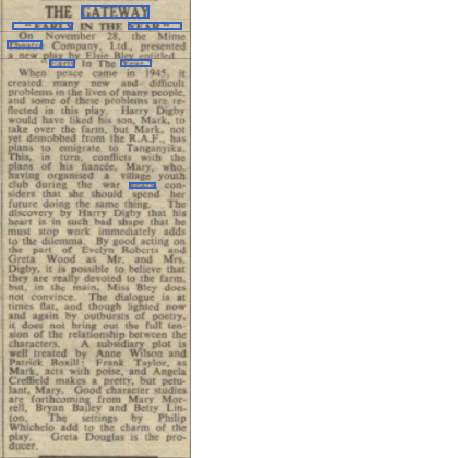 The Stage - Thursday 16 November 1950.